Music is something that the majority of people enjoy and we've had plenty of ways to listen to it over the years and one of the most popular ways to listen to music these days is to stream it. Now statistics seem to be suggesting that people are streaming more on Spotify than they are on YouTube. This seems to suggest that people want to listen to music then they do watch videos. The thing is though that the statistics might not always be suggesting that. The fact is that I know many people who stream YouTube just to listen to music. They don't have the videos up, they just don't have any money for streaming services and if they're going to put up with adverts they'll just put up with them on YouTube where they know they can find the music they want. The other reason more people probably prefer to stream music is that YouTube doesn't exactly have much variety of music on mobile anymore. Unless a song is uploaded by an official source, you can often only find covers and/or the official music video. This doesn't tend to be such a problem with older music, but it can be rather annoying and might be putting some users off. Around 114 billion users have been using audio streaming services on purpose in the US since the start of the year compared to only 95 billion users watching videos on YouTube. People have pointed out that this is probably because people don't care about watching music videos anymore. This doesn't seem as likely, it's probably just more that it's easier to purely listen to music when you're moving around then it is to watch a video. As well as this music sales are declining as people are instead paying for streaming services. You can use these services for free as well, but people prefer buying the service and getting all the music they want without adverts. YouTube offers a similar service with streaming video, but a lot of people aren't willing to pay for that yet. 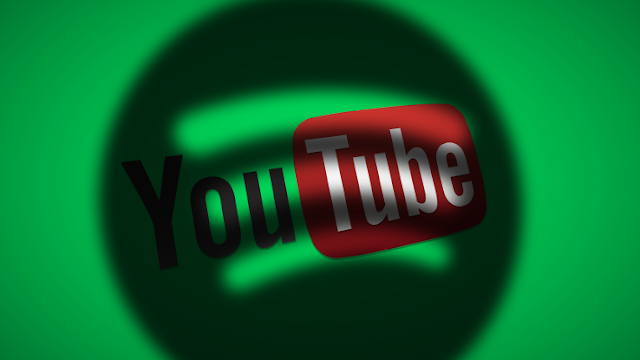 Due to adverts and other things, it is hard to say whether people do prefer videos or just prefer the practicality of services like Spotify, but for now, it's not looking good for YouTube. Is Vine On It's Way Out? Unabashed Social Media Sharing - Career Poison?